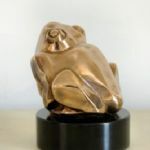 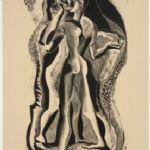 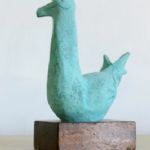 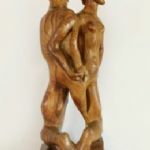 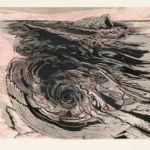 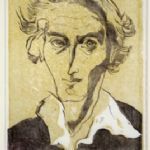 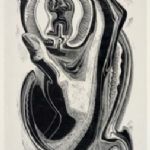 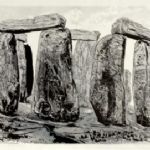 Following on from the major show of Hermes’ wood-engravings and linocuts at North House Gallery in 2008, this exhibition focuses primarily on her sculpture, which she and others regarded as the more important part of her oeuvre. 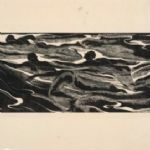 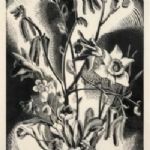 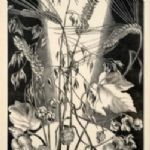 But as the subjects, treatment and aesthetic of her sculpture and prints are intimately related, some very rare prints from the artist’s archive, which were not available before, are shown alongside. 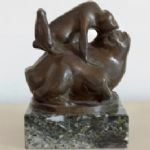 Her earliest sculptures from the mid-twenties were stone carvings of animals, followed by bronzes cast from carved chalk pebbles. 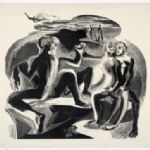 Her style was already clearly her own but developing as an artist in the inter-War years, under the tutelege of Leon Underwood at his School of Painting and Sculpture, she could not fail to be influenced to a degree by the pared down primitivism of Brancusi and Gaudier Brzeska, Expressionism and other Modernist movements. 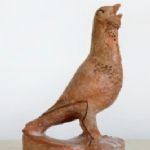 In the 30s several of Hermes’ animal figures seem to be imbued with more symbolic meaning. 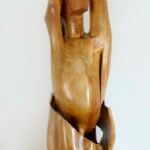 Other sculptures, such as Heart, are direct and powerful expressions of personal emotions. 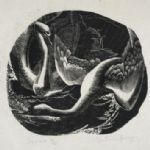 At the same time, after the installation of her carved marble fountain and other features for the Shakespeare Memorial Theatre in Stratford-upon-Avon, she received more commissions for architectural decorations, such as weather vanes and door furniture. 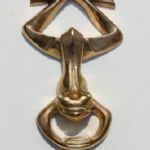 The Frog door knocker in this show is a characteristic and favourite example: she had one on her own door. 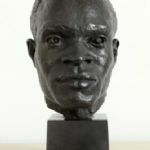 On yet another front, early portraits of family and friends led on to a long career in commissioned portrait bronzes, some of which can be found in the collections of Tate and the National Portrait Gallery. 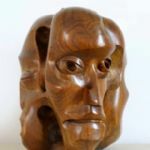 This career was abruptly curtailed in 1969 by a stroke, which also tragically ended the flow of the large carved wood pieces that she was making on her own account.